Product prices and availability are accurate as of 2019-04-20 16:03:30 EDT and are subject to change. Any price and availability information displayed on http://www.amazon.com/ at the time of purchase will apply to the purchase of this product. Say goodbye to water spills on your kitchen sink, with the Aqualife Single Handled Kitchen Faucet, an innovation from Aqualife to serve your kitchen needs. 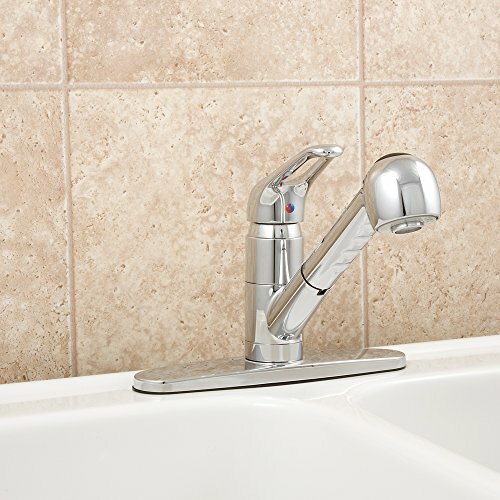 This faucet is made from high-quality metal and is constructed using Ceramic Disc Technology. The faucet uses a ceramic disc that prevents dripping by just a quarter turn. Unlike conventional rubber washers, this disc does not wear out easily. What’s more, the Aqualife faucet boasts a beautiful design. It has a chrome finish that exudes a clean sophistication throughout your kitchen. In addition, it is a pull down, pullout type of faucet head with a 60” stainless steel hose attachment. You can easily pull it out and use it for cleaning fruits, vegetables, or even the sink itself. Setting this faucet up is easy. You can install it in a 3-hole sink or a 1-hole sink with the detachable metal deck. 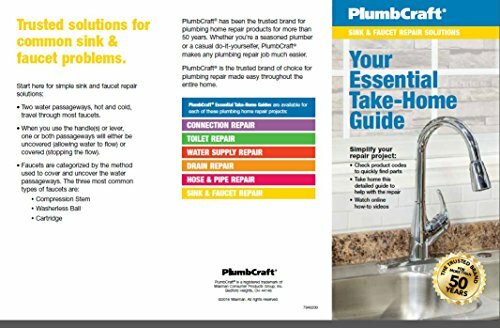 This faucet is recommended for homes, hotels, restaurants and other establishments for any kitchen needs. STYLISH DESIGN - This kitchen faucet is exquisitely constructed using Ceramic Disc Technology. 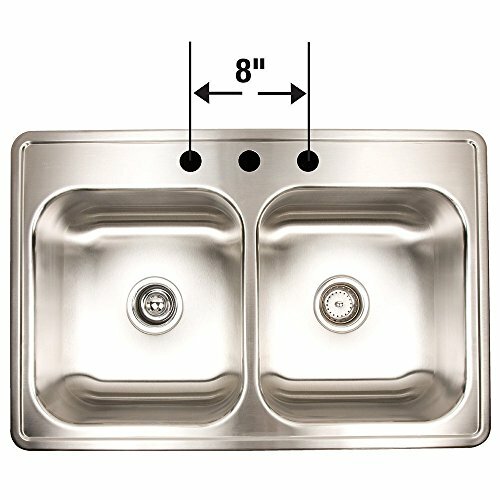 EASY TO INSTALL - Comes complete with detachable deck plate that can easily fit on 1- or 3-hole sinks. RELIABLE DURABILITY - Built with high-quality steel, this faucet is made to withstand years of usage. 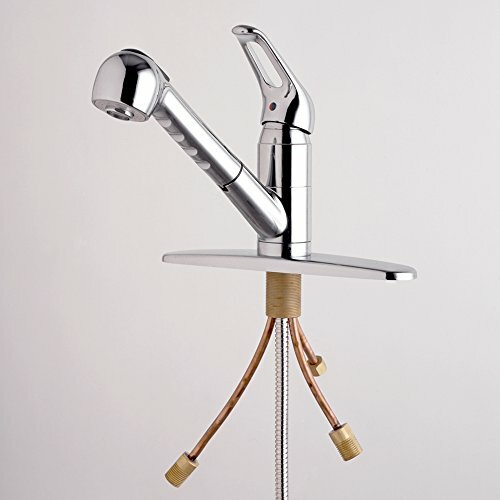 FLEXIBLE HOSE - The faucet head comes with a 60" stainless steel hose that is flexible to use. COMPLETE SET - This stylish faucet comes with stainless steel supply lines & a matching deck plate.